Keep your swimming pool free of drowning hazards by hiring the builders of Gator Vinyl Inc. We specialize in building pool enclosures for home owners in and near the Orange Park, FL area. We see to it that all price estimates and measurements are as precise as possible to reduce the margin of error. A superb swimming pool is safe from all drowning hazards, especially for homes with small pets and children. We pay close attention to every detail in every task we undertake. We will construct your pool enclosures according to your exact specifications. At Gator Vinyl Inc., we combine years of artistry and precision to give you the perfect pool enclosure. 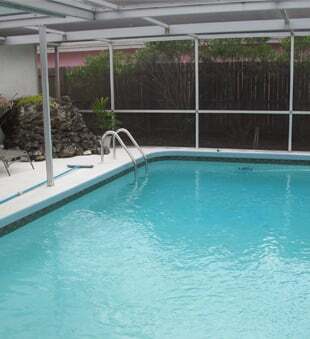 We are here to make your swimming pool area both attractive and safe. Call us at 904-276-0965 if you need help with realizing your pool enclosure ideas or if you want to learn more about our other services.